Aren’t these lovely? 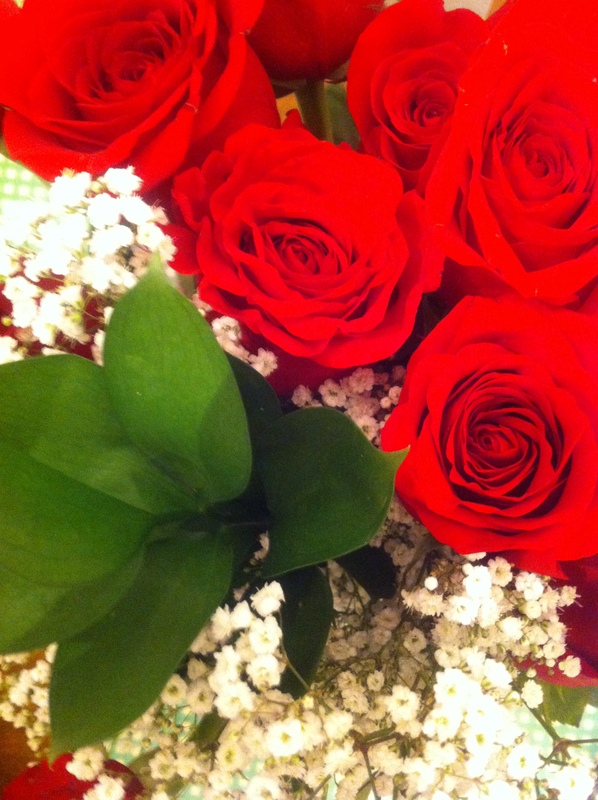 Every Valentine’s day I can count on a dozen roses from my beloved husband. What he likes is candy … chocolates or cinnamon hot hearts. Sokarsweet is my daughter’s photo blog. She and her family live in a lovely house on a beautiful lake with a gorgeous view. Her largest windows face west so she gets to see the amazing sunsets. I hope you will visit her blog and check out her photo posts. Another thing I have done for you is to update my blog and fix a few broken links. My apologies for the bad links; I was dismayed when I discovered them. Now when you click on each book title listed under Book Reviews you are taken directly to the review here on my blog. I also posted them on some or all of the following sites, according to whether the book is listed or sold there: Library Thing, Shelfari, BookLook (if I got the book from them to review; BookLook used to be BookSneeze), Goodreads, Chapters.Indigo, Amazon.ca, and Amazon.com. I have many more reviews to do, and some author interviews are coming up, too. Now I have a question for you. Do you have a favourite quote or verse or Scripture for Valentine’s Day? Anything about love. Here are a few good ones, including one verse of a catchy old song some of us will remember. This entry was posted in Miscellanea, Preambles to Writing and tagged Book reviews, favourite quotes, Gifts for Valentine's Day, love, love quotes, photo blog, photos, sunsets, Valentine's Day. Bookmark the permalink.